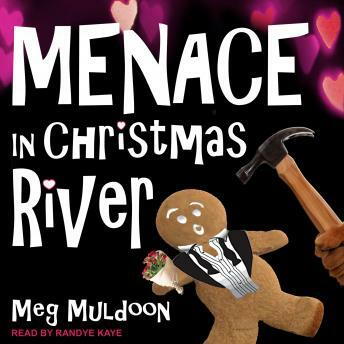 It's Valentine's Day in Christmas River, but the holiday promises to be anything but sweet for Cinnamon Peters. When asked to help judge the prestigious Chocolate Championship Showdown Competition at the last minute, the pie baker extraordinaire is hesitant about putting down her rolling pin in place of a clipboard. But when she discovers that one of her cojudges will be famous celebrity chef Cliff Copperstone, Cinnamon agrees to help. It's a decision she'll live to regret. When a freak blizzard hits Christmas River on the day of the competition, Cinnamon finds herself not only in the middle of a crisis, but also in a mystery as sinister and dark as a bar of bittersweet chocolate. Because somebody at the competition has murder in their heart this Valentine's Day. And things are about to take a very menacing turn . . .